Last week when I posted my Cutting Edge quilt, I mentioned that it was the first of two quilts I made for Quilt Market. Today I'm happy to share the second. 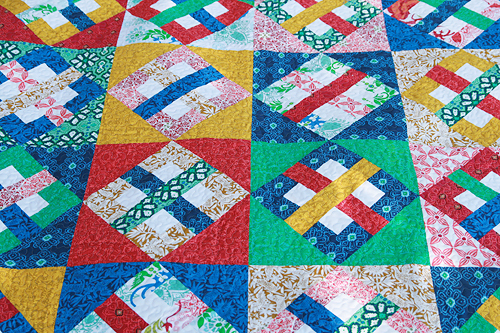 This quilt was made for Ty Pennington's booth at market using his latest fabric line from Ty Pennington Impressions. Once again, Lee was nice enough to take a picture of the quilt in the booth for me at Quilt Market - thanks Lee! 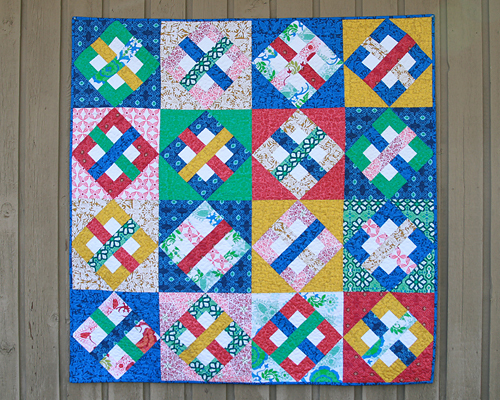 This quilt is made from square blocks, but I set the inner squares and crosses on point. 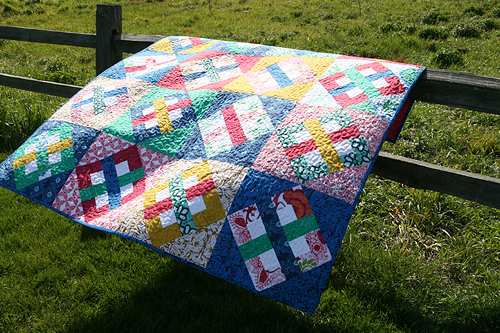 The blocks are 14" squares and the full quilt measures 56" x 56". 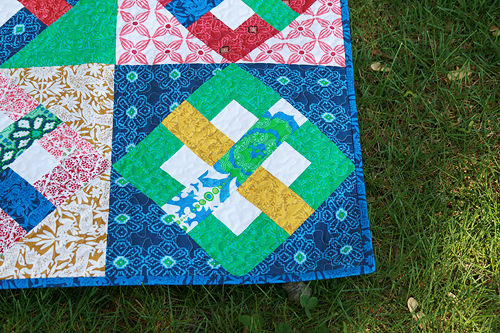 I quilted it with free motion meandering. I made this quilt and my Cutting Edge quilt over a period of less than two weeks. It was exciting and stressful to be a little part of the Quilt Market rush. I also wrote a pattern for this quilt that was handed out at market and if I see it online, I will update this post with a link.